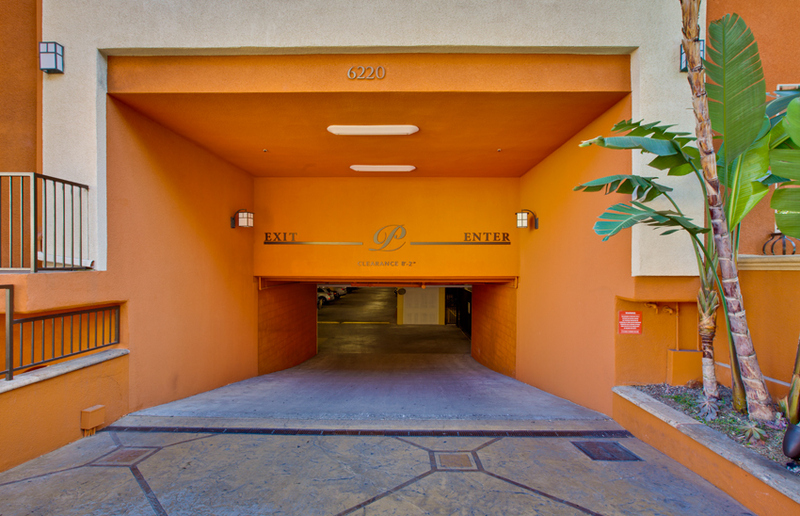 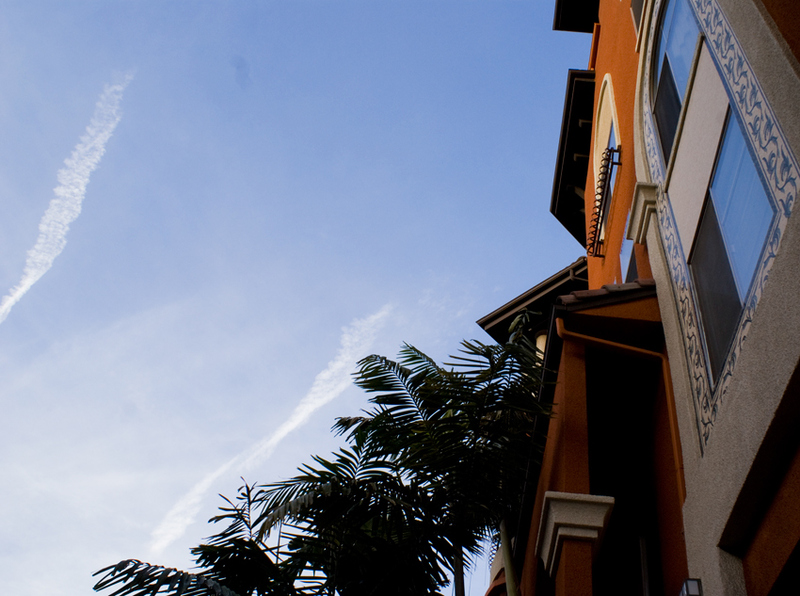 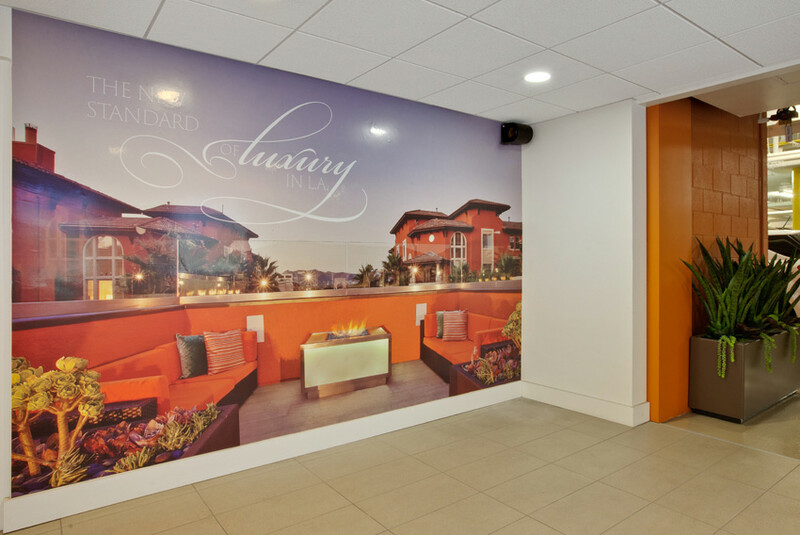 I designed the garage entrance and pathway to the leasing center of The Penthouses at Palazzo, a luxury apartment community in Hollywood, CA. 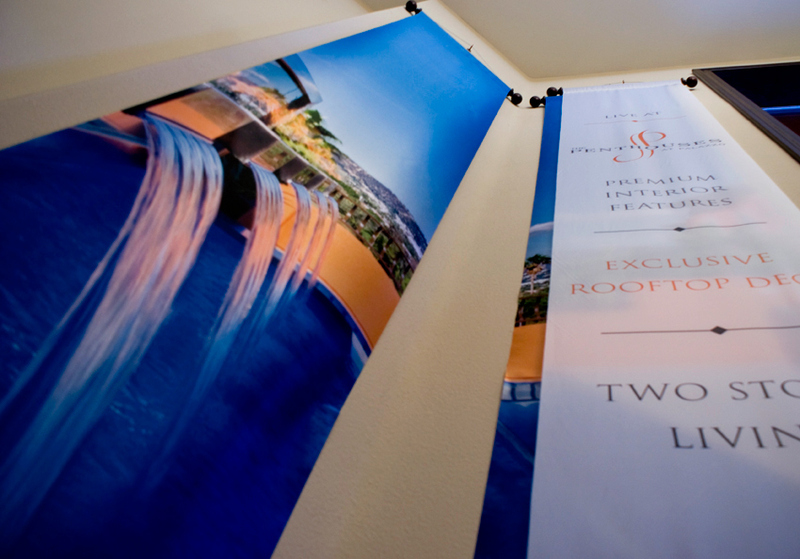 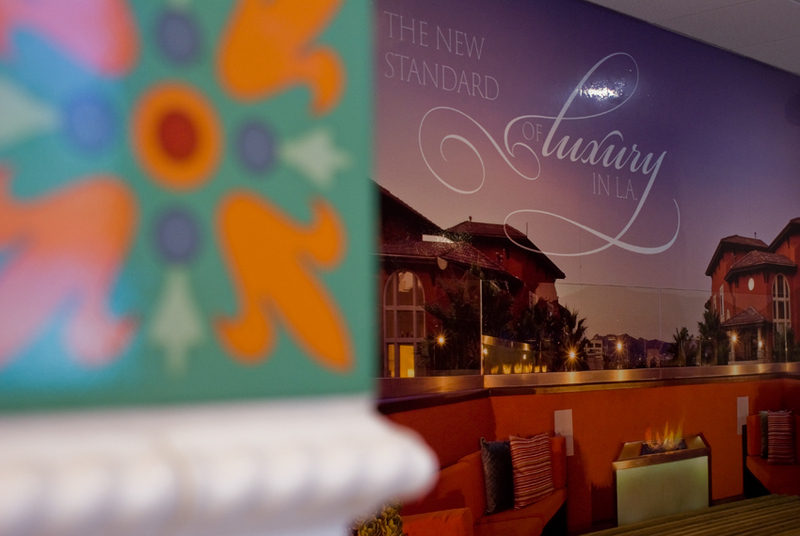 Vinyl graphics direct visitors and feature one of the key amenities: the exclusive rooftop deck. 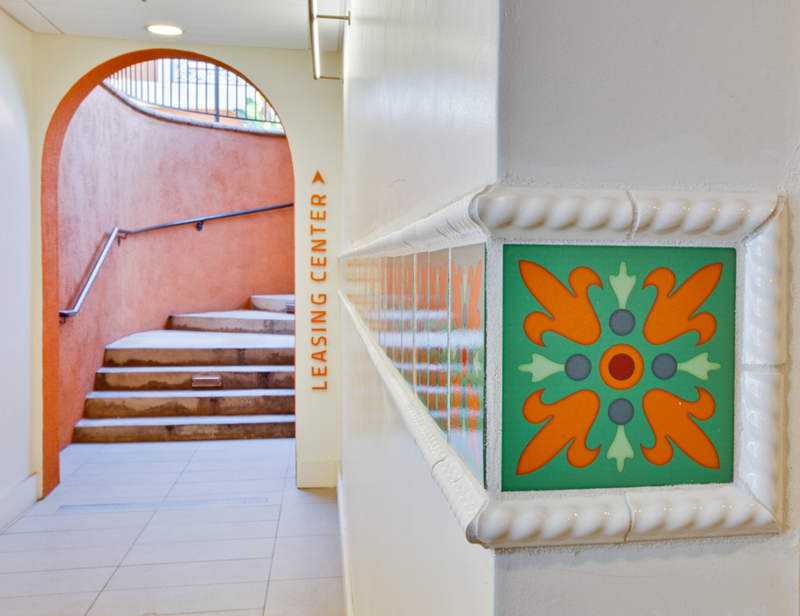 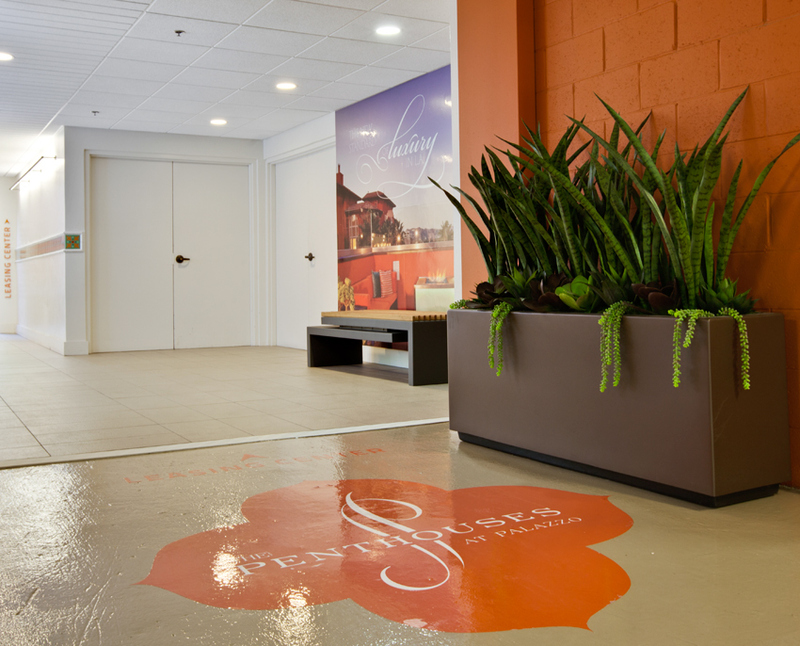 Tiles printed with a custom pattern give a taste of the tuscan style of the property and the visitor gets closer to the entrance.